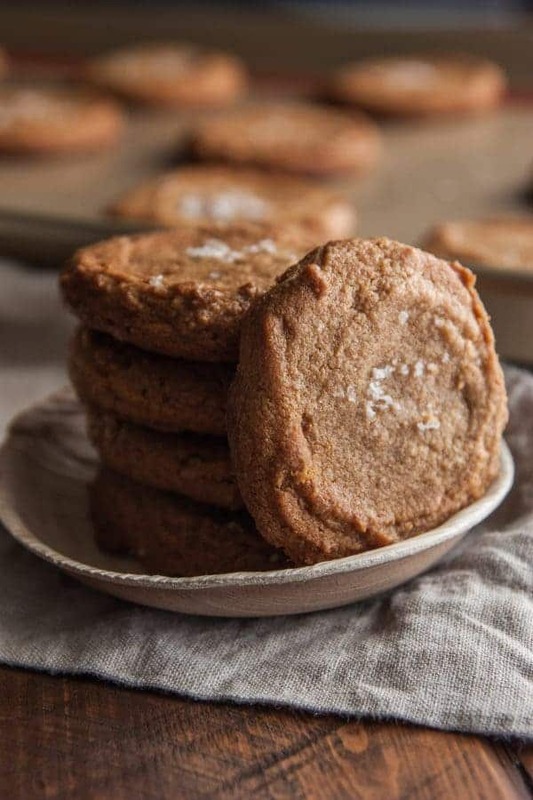 Made with just five ingredients, these sweet, flourless peanut butter cookies have a slightly chewy center, topped with a hint of sea salt. Naturally gluten and grain free. 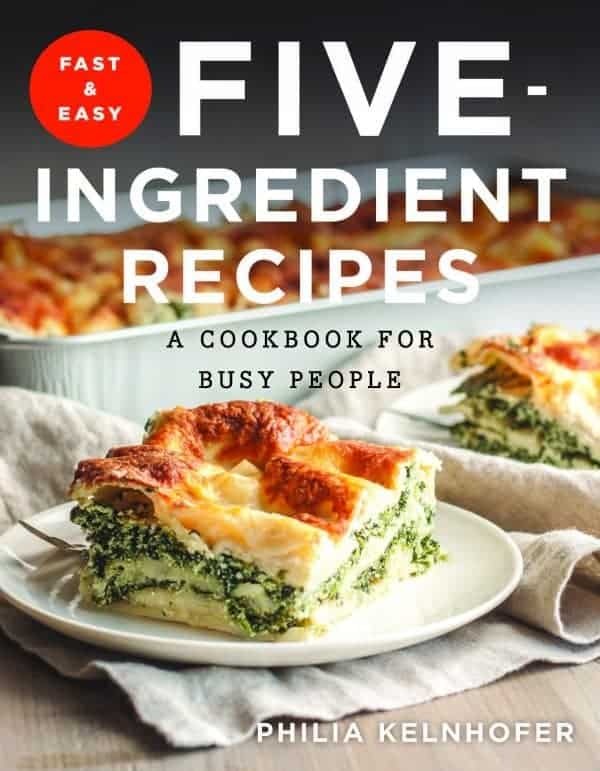 As someone who has published hundreds of recipes made with five ingredients or less, you can imagine how excited I was when I learned that my dear friend Phi was publishing an entire cookbook dedicated to the amazingness that is five ingredient recipes! Phi (on the right) and I have been friends for several years but most recently we co-hosted #FreshCoastRetreat here on Lake Michigan. 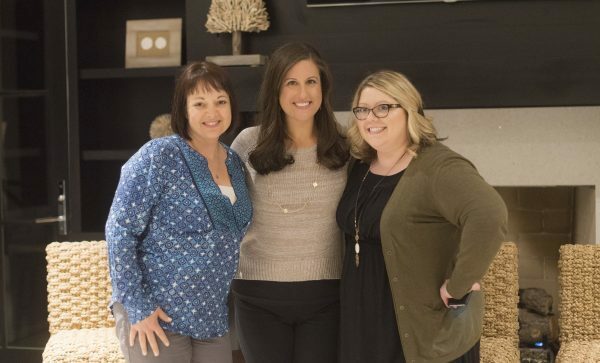 She is one of the sweetest, most upbeat bloggers I know and also happens to be one of the hardest working. Her beautiful new cookbook is nothing short of a dream come true for any busy person. Featuring everything from breakfast ideas to appetizers to entrees and more, every single recipe contains no more than five ingredients. Personally I can’t wait to try her Rosemary Garlic Parmesan Frites, Paprika Chicken with Carrots & Rice and the Chicken Couscous Avocado Salad! Since my boys are really into baking these days, I decided to whip up a bit more of an indulgent treat with these Peanut Butter Sea Salt Cookies. When it comes to baked goods, I like to have a good balance of salty sweet flavors and these cookies do the trick. Made with just five simple ingredients, they are completely flourless and naturally gluten and grain free. 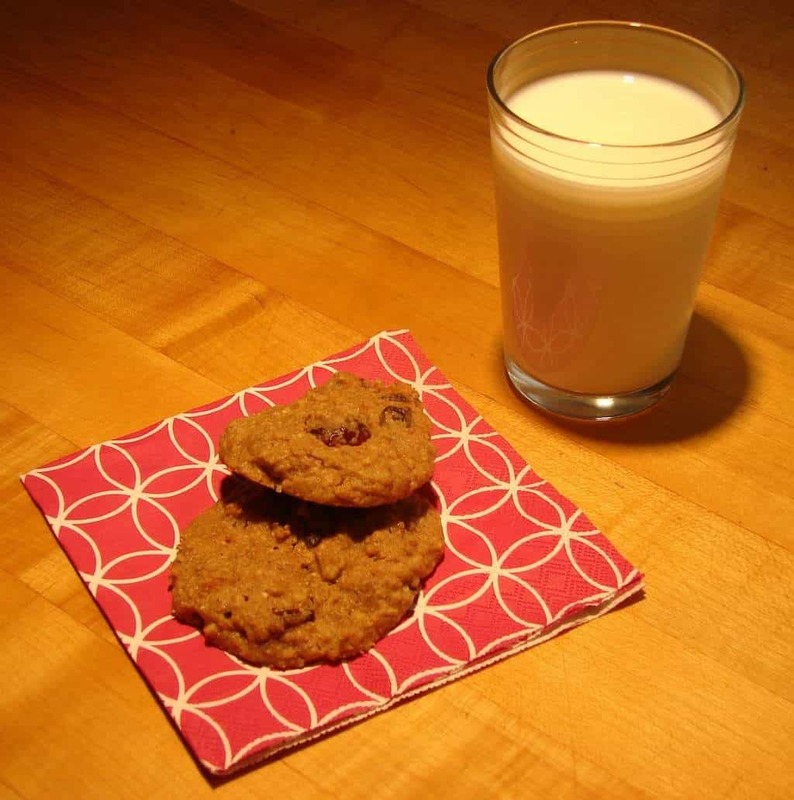 Each batch makes 30 cookies but I’m warning you – they go fast! A huge shout out and congratulations to my dear friend Phi – I am so proud of your most recent accomplishment! I am certain this is just the start of a very bright future for you. Preheat the oven to 350 degrees. 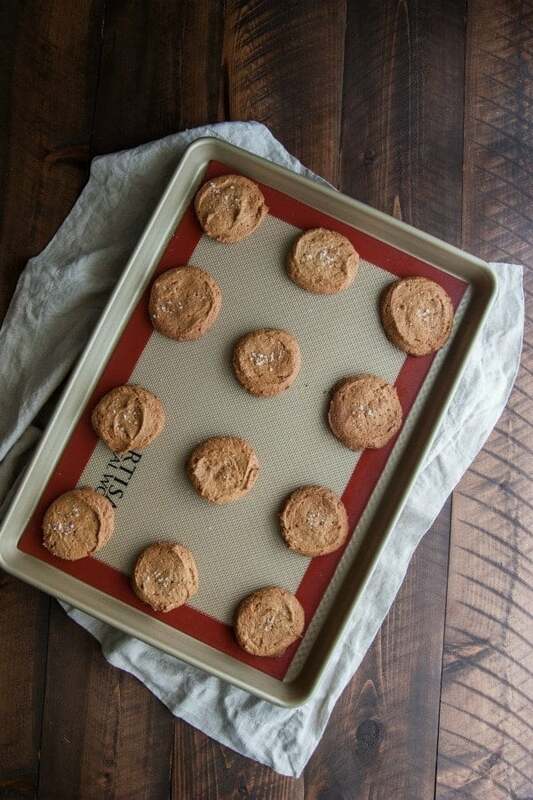 Line two baking sheets with parchment paper or silicone baking mats and set aside. In a bowl, whisk together the brown sugar and eggs, then whisk in the vanilla. 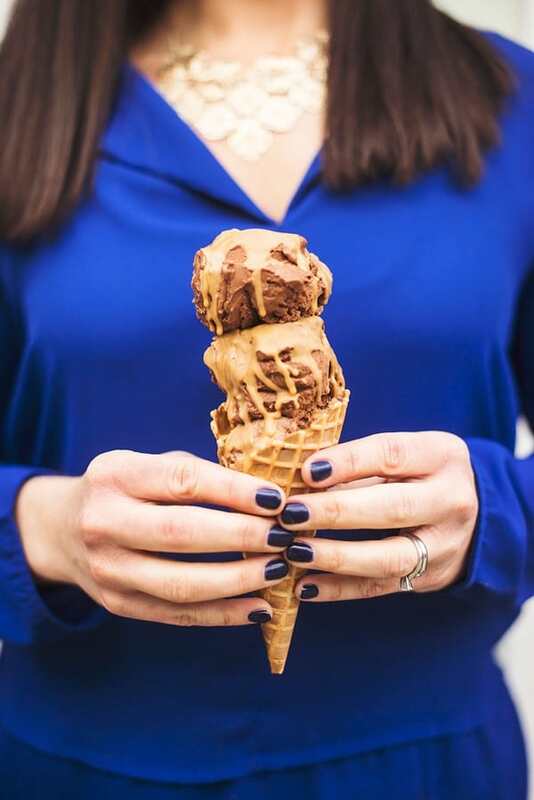 With a wooden spoon, stir in the peanut butter until a thick and creamy batter forms; it is ready when no plain peanut butter can be seen and all the ingredients are incorporated. With a tablespoon-size cookie scoop or spoon, form 1-tablespoon dough balls and place them on the prepared cookie sheets. Bake for 10 minutes, or until the edges are slightly browned (it's okay if they crack). Remove from the oven, sprinkle a little sea salt over the cookies, and pat down slightly with the back of a flat spatula. Allow to cool for 10 minutes before transferring to a wire cooling rack. 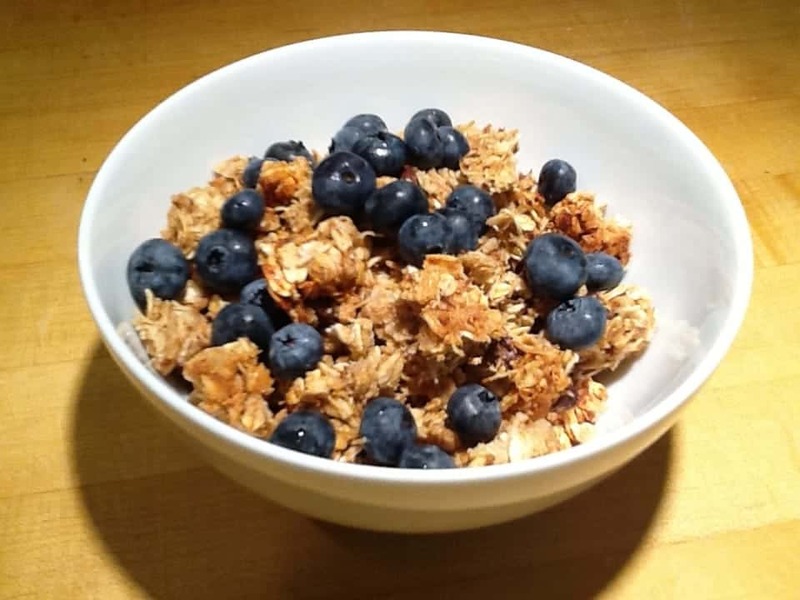 For more great gluten-free recipes, check out my Pinterest board! Yum! 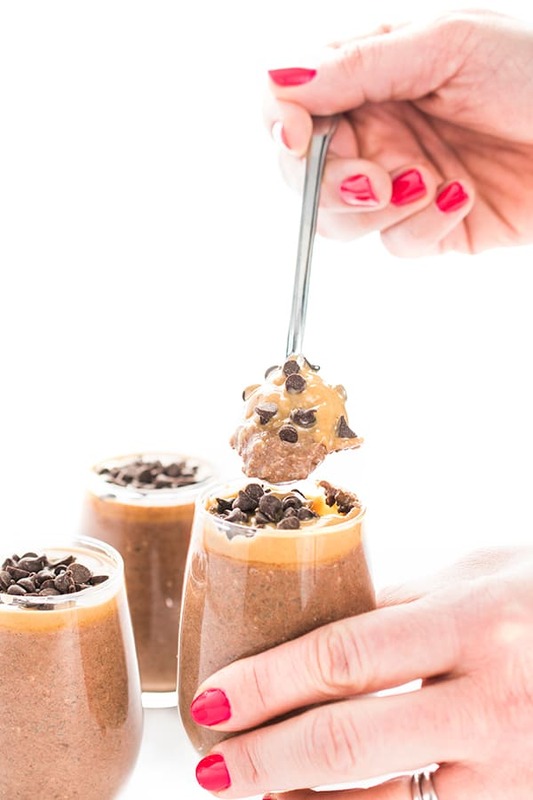 Do you use natural or conventional peanut butter with this recipe? Either natural or conventional would work as long as you use one that has an emulsifier in it like Skippy or JIF! This wouldn’t work well with the natural freshly ground peanut butter. 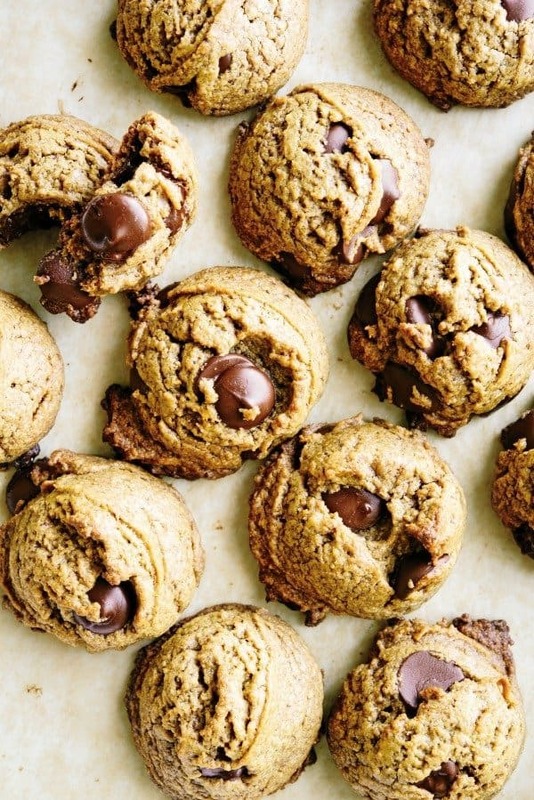 These cookies look so easy – and so good! Phi’s cookbook is so great! Isn’t it amazing? Hard to go wrong with five ingredients! I can’t think of anyone who wouldn’t love this cookbook Phi! So proud of you and all of your success!